The Sri Lankan customs department has detained a series of books on human rights sent for free distribution to libraries. 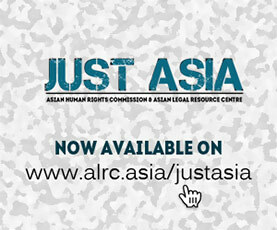 The books sent by the Asian Legal Resource Centre to the local human rights organization, Janasansadaya (Peoples Forum), are books relating to the basic human rights issues and matters relating to the rule of law. These are well known books that have been distributed in many countries in Asia. The list of books consists of around 100 titles. The Customs Department has not given any reason for the detention of these books. Representations have been made for their release, however, the Customs Department have not replied to any of the letters sent so far. The secretary of Janasansadaya, Chitral Perera stated that initially, the Assistant Director of Baggage of the Customs Department received these books and was unwilling to release them. He stated that if the books were to be released it may be a threat to his job. When asked as to why this should be the Assistant Director was not able to give any explanation. Thereafter the matter was referred to the Director of Customs who in turn has referred it to his Director General. Without making a decision on the matter the Director General referred the matter to the Director of Information. While the making of a decision for the release of the book has been passed from one officer to another, none of the officers have been able to explain as to why they were detained in the first place. There appears to be a fear of political repercussions to anyone making the decision to release these books for reasons which are not being explained. “The prevalence of such a system is indicative of some serious defects within the Customs Department. A political culture has developed that regards freedom of information as being detrimental to the democratic freedoms”, said Basil Fernando, director of the ALRC. Under the article 14(1) of the Sri Lankan Constitution the right of publication, which includes the right of distribution of information, is a fundamental right. The books that have been detained are books relating to the rights that are recognised under the Constitution of Sri Lanka. The right of information implies the right of the Sri Lankan citizens to receive books and other material and their right to read such books. The limitations regarding this right should relate only to matters that are related to national security issues. None of the books that have been detained have anything to do with any matter relating to national security. In fact, they are academic writings and other publications which are of a general nature dealing with the basic rule of law issues that are particularly affecting the less developed countries. The arbitrary detention of published material which is for distribution to the public is a denial of the fundamental rights of the organisers who wish to provide these books to the public, as well as a denial of the rights of the public themselves to have access to proper documentation on the matters affecting their rights. As the representations made to the Customs Department have not been answered the organization concerned will take this matter before the court. A lawyer representing the organisation said, “On previous occasions, issues relating to the detention of printed material have come before the Supreme Court of Sri Lanka. During the time of President Premadasa the customs authorities seized a printing machine which was sent for the purpose of printing books for the public. When this matter came before the Supreme Court the court held that the importance of the right of persons to have access to information overrides any other issues such as valuation relating to such matters and ordered the printing machine to be immediately released.” The lawyer went on to say that that this detention is completely arbitrary and against the law. Freedom within democracy requires a free availability of reading material to the public. Both the right of publication and the right of readership are connected. No democracy can function without an atmosphere of freedom to receive books and the freedom to read and discuss issues contained therein. “The present culture that is prevalent within the Customs Department regarding this issue is shocking and undemocratic,” said Mr. Fernando.